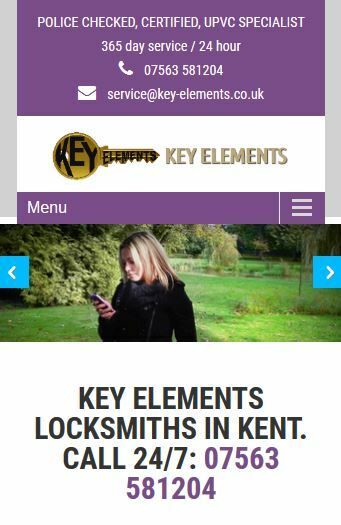 A referral from another local client, Key Elements Locksmiths covering Kent were struggling to get new inquiries with their old website. OHM offered an exceptional design plus Google SEO package that is already bringing in new work. The new mobile friendly web design also has an interesting video about a trending criminal activity plus top tips and services. Owner George also had some great advice for our security which has duly been put in place. The ‘Key Element’ for OHM to deliver was to provide a mobile friendly, easy to contact web design as it is assumed that almost all inquiries will be from someone locked outside of their home or office.